Our client is one of the leading medical technology companies that contribute towards digitally enabled healthcare revolution. Their health scanner device is an embedded health monitoring tool used by patients which is accurate, secure, and easy to use. . This technology is a multi-function health scanner that captures a broad range of health data based on more than ten health parameters. Our client’ health scanning devices captures data from the patients ranging from medication use to fluid consumption. Our client wanted to leverage this data for further analytics and processing using cutting edge technologies to decide patient health and treatment effectiveness. This needed a solution that would analyze the information based on various statistical models using several parameters. The analyzed data was required to be displayed on a dashboard with various charts in a readable format to certain decision makers in the business. Primary objective of the solution was to track all devices and the information that these devices would gather. Xoriant team created an engagement roadmap with due consideration to the data complexity and the required security. Xoriant team initiated the work and came up with a solution blueprint, requirements document and architecture blueprint. The team leveraged our multi-technology and multi-platform expertise to deliver an innovative solution to our client that offered seamless user experience for customers coming through the state-of-the-art web portal. Developed a backend REST API Server in NodeJS to handle the influx of network traffic smoothly. Used NodeJS’ single thread and Event Loop Model for more scalability. Configured SSL for client-server communication, to ensure maximum security of data. Generated Server API documentation automatically by reading comments written in the code with the help of JSDoc. Used Grunt to ensure systematic deployment without any issues and at the same time eliminating redundancy of manually running development tasks. Adopted Full-stack developer concept and executed automation test scripts using Grunt, Jasmine and Protractor to ensure error free deployment. Used Cassandra and in-memory data manipulation techniques to enable the dashboard to handle big volume of data. Developed responsive dashboards using latest technologies like AngularJS, Bootstrap 3.0, LESS to ensure all kinds of screen/resolutions/devices can access and display it without any distortion. Performed end-to-end testing using Protractor with all automation tests on browsers. Device performance and patient data availability at a glance on a dashboard facilitated 30% increase in productivity which led to faster decision making. Provided ease of data access to various administrators who could manage dashboard remotely which ultimately reduced the turnaround time by 20%. Easily traceable patient’s data that enabled better medical care to the patients drastically increased the user base. 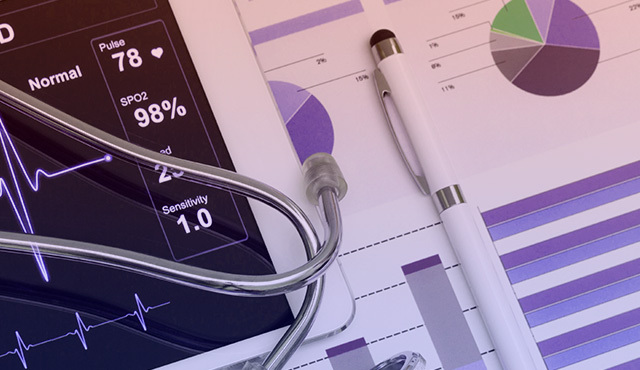 Designed and implemented an analytics solution that could easily traced patient’s data and enabled better medical care to the patients thereby increasing the user base drastically.